The new Leadership Carnival is now up at Mountain State University’s Leader Talk. Becky Robinson has assembled a fine collection of posts (including mine on the Undercover Boss), so do check them out. 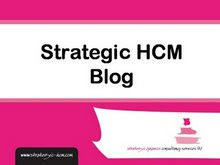 Most interesting to me is a post by Sharlyn Lauby, the HR Bartender: Is Human Resources Capable? Referring to a post by Chris Kieff at 1 Good Reason – Social Marketing, Sharyln considers whether Marketing or HR should be responsible for social media in their organisations. So, HR should take responsibility for social capital, including how social media is used to develop this. I’m less fussed over who actually has operational responsibility for social media, but probably IT. Earlier this year, Channel 4 broadcast two documentaries / reality TV programmes featuring senior execs, suitably disguised, spending time with members of their workforce in order to better understand the situation on the ground. I saw both shows and was impressed with the openness, integrity and attitude of both Andy Edge from Park Resorts and Stephen Martin from Clugston Group. But broader opinions were divided. Kris Dunn at the HR Capitalist was one of several bloggers questioning the efficacy of, and particularly the environment that had enabled, this approach. Kris’ post was actually made before the show, and I thought I’d wait until I’d watched the programme to respond to it. Of course, I then forgot to do so. However, I’ve just sat through a presentation made by Martin at MLab - Gary Hamel and Julian Birkinshaw’s Management 2.0 think tank. So here goes. How much progress have you made (and people scored it between 2 and 3). Disincentives to act – fear of change, executive self interest -14%. What these barriers make clear is that management is the problem and the solution. One of the reasons for this is that in general, we have little insight into the feelings and views of the people we are managing (fear, confusion, disinterest and distrust all get in the way). So how do we overcome this lack of insight? Birkinshaw suggested that we do this by taking a decentric view of the world – trying to understand how management is being perceived from the employee’s POV. This is where Stephen Martin steps in. Martin explained that when he was first approached to do a reality TV show he said no, but the opportunity to gain an understanding of his workforce was just too great. Normally he feels as if he is in an ivory tower – everything gets filtered through levels of management. He needed to understand how the business was going from employees perspective. One example Martin gave us was a pay cut that Clugston needed to make recently. HR had tried to explain this by sending employees a letter! The business hadn’t understood how this action would be or had been interpreted by its workforce. So, was this a good idea or not? Both Martin and Edge, and their businesses, clearly gained from their experience. Martin identified some previously unknown talent, and made some significant changes, for example around their apprenticeship programme. Edge, if anything, experienced even deeper revelations, starting the programme thinking that staff simply needed a pay rise and finishing it with a deeper appreciation of the other things that Park Resorts could be to engage and recognise its staff. But does this justify their deception? In an ideal world. certainly not. But many businesses do many worse things with their staff. If going under cover can help develop a better / decentric perspective on a workforce, and reduce the other damaging things they do, then I’d suggest this may be a worthwhile trade-off. Of course, the aim must be to go beyond this. Asda is a good example. Their former HR Director, David Smith, who also presented at the event, explained that he always used to spend one day a week talking and listening to his staff. It needs a level of trust to be able to do this. But I think it shows that there are even better opportunities than going undercover. Encourage un-moderated social networking within the organisation. I’m looking forward to joining Bertrand Duperrin for a pre-Enterprise 2.0 summit (ie the European conference) video call later on today to discuss the impact of national specificities on enterprise 2.0 adoption. One of the things Duperrin is going to be discussing is that “the word ‘social’ makes execs feel sick”. This reaction is something I’ve noticed quite a few other comments about recently. I agree with Bertrand’s, Andrew’s and Tammy’s concerns, and I’ve experienced similar reactions myself. I’ve also posted on Cisco’s preference for business (rather than social) networks. It’s often useful to avoid the ‘s’ word. And with my clients, I often do so myself. So we introduce social applications below the radar. And we pretend that the social business is just the same as what’s been going on before. And that’s fine. Except that it isn’t (the same as before)! 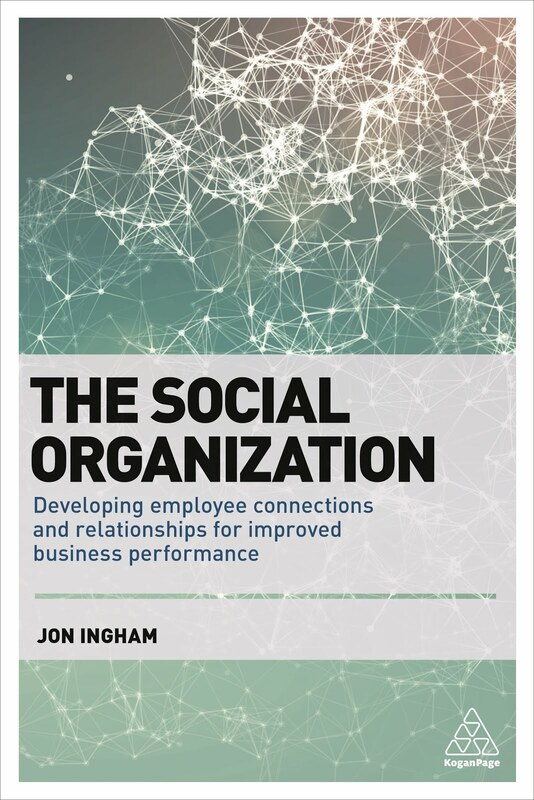 And organisations aren’t going to get the full benefits from social media, and they’re certainly not going to become social businesses or gain Social Advantage, unless they’re comfortable with the Social. We need to help our organisations understand. Business is personal. Business is social. Get used to it!